In the past we have seen a ‘technology first approach’ this means implement the new technology then gather the requirements and needs for the technology later, this type of approach can often lead to displeasing and unsatisfying results in usage, engagement and efficiency. SharePoint provides a vast number of capabilities that empower business users, SharePoint allows users to collaborate with each other, tag and rate content, self-publish, and develop their own solutions, but as we know with great pwoer, comes great responsibility - SharePoint needs to be managed carefully before it grows quickly out of control. 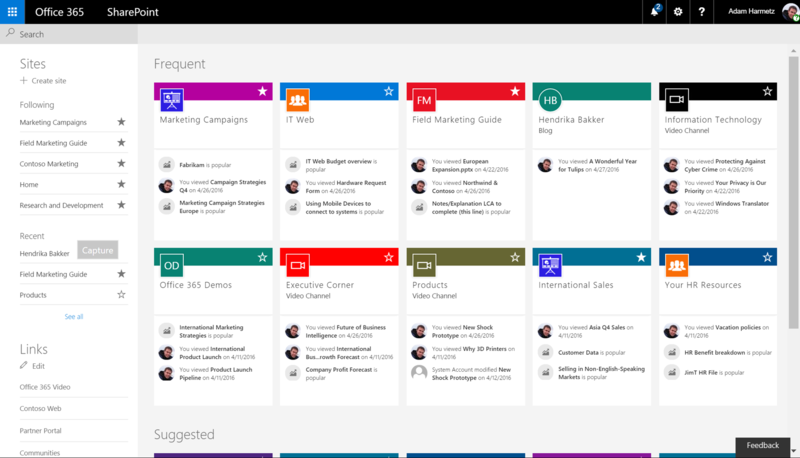 Like any software, SharePoint needs to be aligned to a strategy. One common mistake many SMB’s make is - SharePoint is the strategy, when in fact SharePoint should be used to align with your businesses existing strategy and its related areas such as HR, IT, Sales etc. This may mean many organisations are now faced with a need to re-architect their SharePoint environments in a way that is more conducive to reaching the businesses goals and strategic objectives. Do not fret, the following article will discuss how to develop a successful SharePoint strategy whether it is for a first time implementation or to re-align your software to ensure it is working toward reaching the business vision. As Lao Tzu once said – the journey of a thousand miles begins with one step, and the first step on the road to SharePoint success is developing a good understanding of your business objectives that you are trying to accomplish. To increase the chances of a successful SharePoint implementation, key stakeholders need to work together to carefully address the key business objectives– it is important to remember that SharePoint should align with your key objectives and not the other way around. Stakeholders are not only the decision makers in the business, when considering implementing new software such as SharePoint you need to consider all parties involved. Depending on your reason for implementing SharePoint your stakeholders will be different for each scenario. When you look to identify stakeholders, recognize that there are different types of stakeholders, all of whom should be included in the development of your solution strategy and the ongoing governance model. An important note to remember is that users are critical to the ultimate success of your SharePoint solution, so do not be exclusive when considering the stakeholders in your strategy. It is important that the solution is easy to use and managed, does not disrupt the flow of work and does not aggravate the end users, otherwise adoption will be unsuccessful. The IT experts you have engaged (whether they be internal or an outsourced company) will need to be included when completing this section of your strategy. It is imperative that a thorough understanding of the features SharePoint offer is utilised at this time. Take the earlier example of your business objective. Decrease amount of time spent on training and development of new starters through efficient Information sharing and training programs. Improving ‘Time to Talent’. Reducing our bottom line. The People and Expertise search – Allowing your new starters to find people within the business with the expertise they are looking to develop. Follow people, documents and tags – this gives them greater access and proximity to power enabling them to learn faster and from more developed and seasoned staff members. By using these features of SharePoint it has the ability to reduce the amount of training time each employee needs as they can now ‘Learn on the go’ and increases their output whilst still in the early stages of their employment. This effectively meets the needs and enhances the ability of the business to achieve their business objective. **If SharePoint features cannot enhance or enable your business to reach their objectives, you should not go ahead with implementation. The Governance section of our SharePoint strategic plan should be viewed as your company’s insurance policy. When the SharePoint environment starts to expand and more sensitive data starts to be housed within it – you need to ensure you have the right team and policies in place to contain any potential disasters. Governance is about supplying a task force that outlines and maintains all the ‘rules of the SharePoint environment’. They are used to provide a quality user experience and ensure any policy violations are dealt with and resolved quickly. 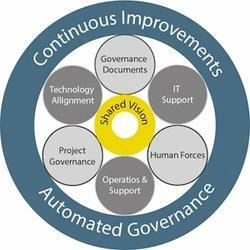 Governance ensures that the solution system is aligned with the business objectives so that it continuously delivers business value. The governance section of your strategy plan clarifies your SharePoint usage, creates a structured framework to measure and manage the solution and outlines all policies, guidance and enforcement procedures. Defining measures of success is key to any new implementation strategy, this is the time when you test the value of your organisations investment. By setting clear lines and measures of success, a metrics program should be established so that you can demonstrate the solution is meeting the business objectives. A good metrics program includes both qualitative and quantitative measures that tie the SharePoint solution as directly possible (responsible) to the businesses successes. Quantitative costs can be measured with such defined guidelines as ‘Reduced Training costs for new starters. To gain a deeper understanding the success of your It is always a good idea to canvass user stories and experiences that describe how using SharePoint tools (finding a person with an unknown skill, following individuals etc.) helped contribute to increased profitability, increased client output, or other metrics that are already reflected in the key performance measures for the organization.